Sharing insights, ideas and learnings while implementing Salesforce based solutions for various enterprises. Learn more about Salesforce intricacies and some quick insights into complex or unknown areas. In case you don’t know Salesforce is phasing out Force.com IDE (planned for June 2018) to promote newer IDE choices. There are already many IDEs out there to take Eclipse based Force.com IDE’s place. However, Salesforce is officially promoting Microsoft Visual Studio Code (aka VS Code) as official IDE. VS Code is a platform-independent, light-weight and keyboard focused IDE for Salesforce (sorry for folks who loved menus and GUI). VS Code does have visual menus and options, however, using keyboard shortcuts is just do damn fast. There is surely some learning curve involved. But, once you get rolling, you would hate using mouse, as it takes a lot of work to raise your hand, move mouse, point and click and navigate, when you can just press “Ctrl + /” to comment current code selection. Inbuild GIT capabilities – This was one of the most profound experience I’ve had in using GIT in a development IDE (others may have had better experiences). But, the sheer ease of using GIT within VS Code is ecstatic. Whether it’s about identifying current branch, items to pull from remote, items to push to remote server, files changed. It’s so ingeniously baked within user interface that you would wonder why it wasn’t done in other IDEs. Shortcuts, Shortcuts and Shortcuts – VS Code is heavy on shortcuts and allow users to configure custom shortcuts to increase personalization. Fast Coding and Refactoring capabilities – being the new kid on the block, VS code gets advantage of adopting time proven best practices, tips and tricks to ease day to day life of developers and help them become more productive. Common things like searching a particular text in all files, or paragraphs within in all files, or replacing variable name in entire class, it can be done like a breeze. It’s only for SFDX based projects – Well that’s a big misconception, something a lot of people have asked about. VS Code can be used for both SFDX and non SFDX based projects. It really boils down to the extensions you would choose. SFDX extensions - natively provided by Salesforce and officially supported. These tools are and should be foundational platform for all Salesforce extensions. 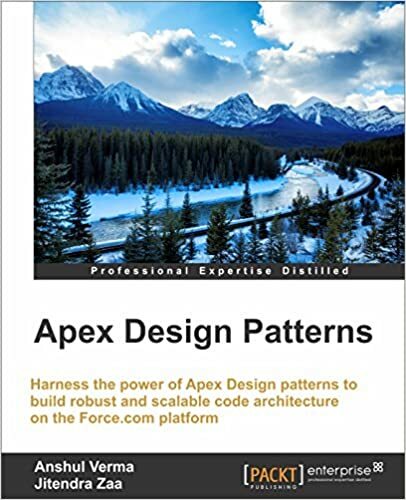 Forcecode - one of the most prominent Force.com development extensions on VS Code (at least prior to SFDX). I prefer it for conventional development, as it provides true IDE features like menu based retrieve, deploy, execute script, update on save etc. GitLens - parsing old git logs and commits can be tiring sometimes. GitLens solves this by providing intuitive features like inline commit view, last version comparison etc. Thanks for sharing,this blog makes me to learn new thinks. interesting to read and understand.keep updating it. Copyright:2013 - Anshul Verma | Logo/ Name used herein may be trademarks of their respective owners. Simple theme. Powered by Blogger.